Not The Actual Events, Add Violence and Bad Witch form a trilogy of related pieces, respectively released in 2016, 2017 and 2018. The NIN 2017-2018 touring cycle took place to support it. This period marks the inclusion of Atticus Ross as an official member of Nine Inch Nails, as well as a member of the live band during the tours. Side B of the Not The Actual Events vinyl features 3 additional, unlisted tracks from The Downward Spiral in reverse: "Hurt", "The Downward Spiral" and "Reptile". In the physical component for Not The Actual Events, the lyrics of "She's Gone Away" are superimposed over a copy of page 14 from the Deluxe Edition booklet of The Downward Spiral, and lyrics embedded in the Apple Music release include extra, unsung words directly referencing "Reptile". 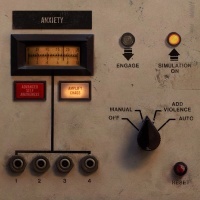 Additional lyrics for "Less Than" are printed on the physical component of Add Violence, and they seem to reference "March Of The Pigs" by using the line "doesn't it make you feel better". Additional lyrics for "This Isn't The Place", printed on the physical component of Add Violence, are a direct quote from "The Great Below", with the line "I can still feel you, even so far away". Reznor stated that "This Isn't The Place" is about David Bowie during a concert. It can be speculated that this line relates to mourning in both case. 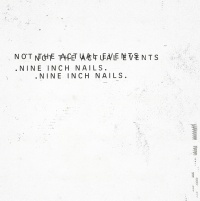 An alternate front cover for Not The Actual Events is a re-used Still cover art. Lyrics from the track "The Background World" feature a reference to the Bleedthrough concept, in the line "Is always bleeding through". Additional lyrics for "The Lovers" printed on the physical component of Add Violence feature the word "godlike", possibly referencing "The Life You Didn't Lead". In an episode of the Song Exploder podcast, Trent Reznor and Atticus Ross explained that the song is about an alternate reality that explores what might have happened if Reznor had never left his old home of New Orleans and had never gotten clean and sober. It began as a sort of poem he had written in order to explore what he calls the "seduction of addiction" and stated that "it was me allowing myself permission to examine a period of my life that I had consciously chose not to think about very much, then immerse myself in it in a kinda 'What if the path I'm currently on wasn't really the right one, and I just went hard-left the other way?". Add Violence is in part a continuation of the Year Zero story and its ARG, with elements appearing on the front cover and the back cover of the album ("SIMULATION ON", "PRESENCE", "2022", etc), in the music video for "This Isn't The Place" (appearance of a "Cedocore" box), and on the physical component. They are all linked together with multiple variations of the panel, mentions referencing the concept of The Trilogy, the physical component appearing itself in the music video, etc. The first two EPs came with "Physical components", optionally purchased items that were something to physically interact with. For Not The Actual Events, a sealed black envelope of artwork and lyric sheets was available, filled with black makeup powder. For Add Violence, a booklet printed in the style of a manual was made, containing artwork, lyrics and stickers. 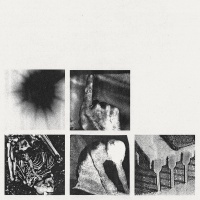 Bad Witch did not have a component, but it's speculated by fans that the act of having to physically queue in the US for tickets, for the accompanying tour, was the physical component for this release. This page was last modified on 21 April 2019, at 21:51. This page has been accessed 1,571 times.